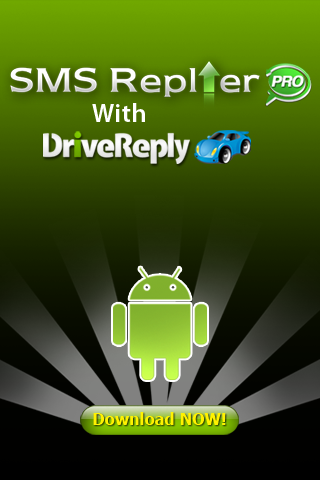 There are two ways to install the SMS Replier to your Android platform mobile phone. Browse to https://www.smsreplier.com/Lite.apk in the browser on your phone, fill out the simple form, press download. The app will be downloaded and installed on most phones, or it may prompt you to install on older phones. 2) (USB CABLE) Download the app to your PC/MAC. Once your phone is plugged into your computer, drag the white bard down from the top to open recent activity and press the USB connected field under ongoing. It will pop-up asking if you want to mount the phone and computer. Select mount. In your computer, your phone should show up now as a removable drive. Drag the file from where you downloaded it to into this new drive, if you open that drive you will see the contents of your phone. Now, using an app installer tool, we use, appInstaller version 17 (downloaded/installed for free from Android Market on phone). Find the icon for app installer and press it, you will see SMS Replier listed there. Press SMS Replier here and go thru the prompts, the app will install.